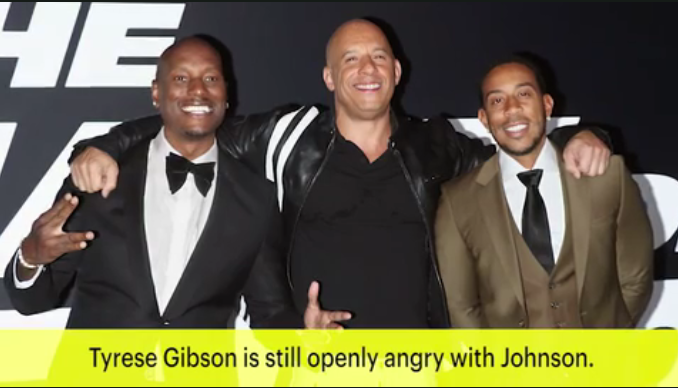 Tyrese Gibson, one of the more typically lighthearted spirits of the Fast & Furious franchise, is still not happy with Dwayne Johnson. After begging The Rock not to delay the release of the ninth film, the actor fired off again after it was officially announced Wednesday that the next installment has been pushed back to 2020. Johnson co-founded Seven Bucks Productions (which works on films like Jungle Cruise, Rampage, and the Jumanji sequel) with Dany Garcia. Hiram Garcia is the president of production. Fast & Furious 9 was originally planned for April 19, 2019, and Universal Pictures did not reveal a reason for delaying the film to April 10, 2020. There have long been rumors of a spin-off film to focus on Johnson’s Hobbs, which could theoretically postpone upcoming Fast installments. Gibson argued as much in his first message to Johnson on Instagram in September. Other behind-the-scenes drama swirled around The Fate of the Furious ahead of and after the film’s release. Michelle Rodriguez threatened to leave the franchise altogether if they “don’t show love to the women,” while Johnson called out his costars on social media.